I’m coming to the end of a Brooklyn Nine-Nine binge that has lasted a solid month or so, and emerging from such a binge means a few decisions lie ahead. What to watch next? This can be a daunting task, and one that friends are usually eager to weigh in on. Seeing as though I consider us pretty close, you can throw these series into the mix. If you don’t agree, I won’t be angry. Just disappointed. Based on the BAFTA-nominated 2016 British series of the same name, this one promises to be a good time. Kathryn (Golden Globe winner Jennifer Garner) gathers together her meek sister, her holier-than-thou ex-best friend and a free-spirited tagalong to mark her husband David’s 44th birthday – but what was supposed to be a delightful, back-to-nature camping trip quickly becomes a weekend of tested marriages and woman-on-woman crime that won’t soon be forgotten. 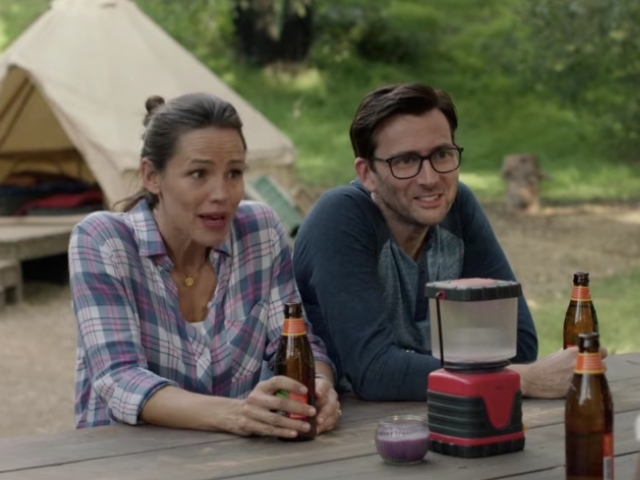 David Tennant (Broadchurch, Jessica Jones) and Oscar-nominee Juliette Lewis co-star in this eight-part HBO comedy from Lena Dunham and Jenni Konner (Girls). Camping will actually only start streaming on Showmax from October 15, but we’re planting the seed early. With a superb 95 % critics rating on Rotten Tomatoes, Harlots needs to be considered. Set in London in the 18th century, Margaret Wells (Oscar-nominee Samantha Morton) struggles to reconcile her roles as brothel owner and mother to daughters Charlotte (Screen Actors Guild winner Jessica Brown Findlay) and Lucy (Eloise Smyth). When her business comes under attack from Lydia Quigley (Oscar-nominee Lesley Manville), a rival madam with a ruthless streak, Margaret must fight back – even if it means losing her family and possibly her life. You can also throw Liv Tyler’s name into the ranks, as she joins the cast for season two as Lady Isabella Fitzwilliam. There’s a reason you keep on hearing about Doctor Who. It’s rated amongst IMDb’s top 100 TV shows of all time, and boasts a 91% critics rating on Rotten Tomatoes. Series 11 marks the arrival of the thirteenth Doctor (Jodie Whittaker), with three new friends (Mandip Gill, Bradley Walsh and Tosin Cole) and a new showrunner in Chris Chibnall (Broadchurch). The Verge described The Magicians as “Harry Potter meets The Chronicles of Narnia meets the cold, harsh realities of real life”. Season three starts just after the removal of magic from the world, putting Brakebills, New York’s secret university of magic, on the brink of closure. As Quentin Coldwater and his group of 20-something friends set out on an epic quest to find seven keys that will restore magic, they’ve never been so vulnerable, which leads to the most exciting season yet. Dylan McDermott stars as Captain Dave, a pilot for Jackpot Airlines, a low-cost airline that operates weekend flights between Los Angeles and Las Vegas. I hope something above tickles your fancy and you come out of your current binge ready to go again. If you want to dabble in what Showmax has to offer, you can sign up for their FREE 14-day trial, and existing DStv users can also add Showmax to their bouquet for free. Otherwise, the month-to-month subscription costs R99, which gets you all-you-can-eat access to a huge online catalogue of TV shows, movies, kids’ shows and documentaries. There are no ads, you can cancel any time you want, and there’s no contract – let the binge begin.